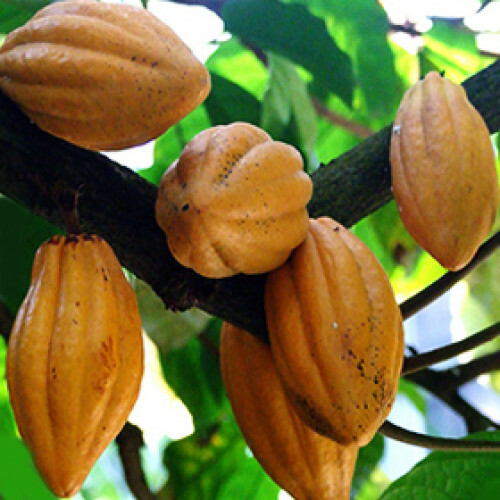 Cocoa is the dried and fully fermented fatty seed of the cacao tree. Our Cocoa Absolute is solvent extracted from top quality standardized cocoa bean powder. Cocoa is known to contain valuable anti-oxidants and is reported to assist with sluggish circulation as well as promoting softer, more youthful skin. Anti-oxidants aid in protecting the cells, collagen and elastin from damage caused by free radicals found in our environment. Cocoa has also been used throughout history as an aphrodisiac. This may be due to the positive effects of flavonols - active constituents naturally found in cacao. Cocoa Absolute is perfect for addition to creams, lotions, facial masks and body treatments.